Drop The Fat, Hold The Carbs: 5 High-Energy Reasons To Keep Carbs In Your Diet! Convinced that the low-carb life is the only way to lose fat? Think again! If you're gearing up to diet down, you're probably hungry for simple ways to cut calories. If you've read about dieting strategies, you know that you don't want to pinch from your protein intake. Protein is critical to lean muscle maintenance and will help you stay strong while shedding fat. Step away from the whey! Since you can't pull calories from your protein pool, you'll have to cut them from other areas. Those areas are carbohydrates and dietary fat. These days, carbs get blamed for rising rates of obesity and a wide variety of diseases, which often leads dieters to instantly drop them. The day their diet begins, people slam carbs faster than a pro-wrestler on speed. But are carbs really so awful? Is an extremely low-carb diet the best and fastest way to fight fat? Step back from the mat for a second. If you look at this topic objectively, you'll think twice about completely pulling carbs from your fat-loss plan. In fact, after this article, you'll think twice times two, plus one. That's right, you'll think five. Think first: ultra low-carb diets can be detrimental to your thyroid gland, which can damage both your results and your health. When you decrease your carbohydrate intake for too long on a low-calorie diet, your thyroid and the hormones it produces/stimulates can be negatively impacted. Since certain thyroid hormones regulate your rate of metabolism—the amount of daily energy you spend at rest—your results can slow and your weight might plateau. Your metabolism doesn't slow immediately, so this effect won't be noticeable when first starting a diet. However, dieters using very low-carb approaches usually find that they hit a weight plateau faster than those who are on a reduced-calorie, moderate-carb plan. If you include some very low-carb days in your diet, also include higher carb days to offset the possibility of thyroid impairment. By scheduling high-carb days, you improve your chances of ongoing success. Think twice: consider keeping carbs in your fat-loss diet since they influence your exercise intensity. Some dieters don't mind reducing their workouts and doing the bare minimum to maintain lean muscle mass. If you're only performing a few compound lifts per workout, then you won't necessarily need a shipload of carbs to complete your training. Roughly 10 grams of carbs for every four sets lifted should be sufficient to keep your muscle glycogen levels high enough for resistance training. However, if you plan on doing more volume and want to maintain fairly intense workouts throughout your fat-loss program, you'll need carbs for training energy. 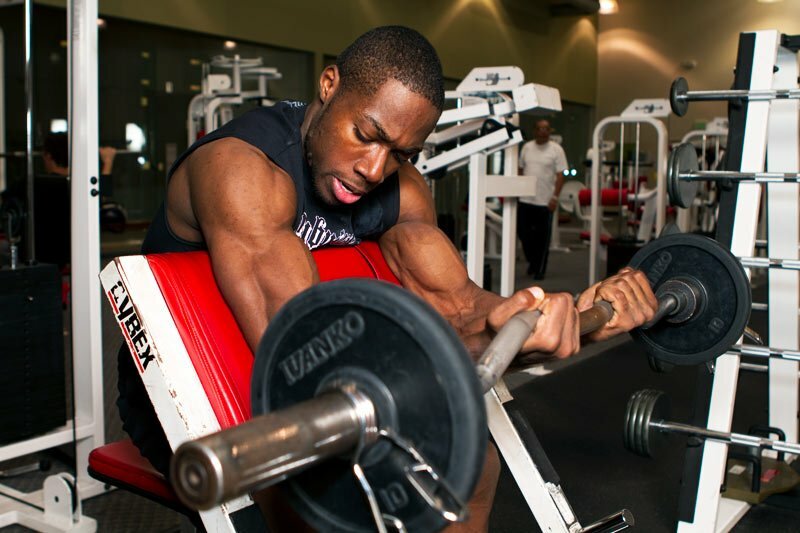 You might be able to lift intensely for 1-2 weeks, but your lifts will grind to a halt fairly quick. Your muscle glycogen will get depleted, your CNS will become exhausted, and it's going to be pretty darn tough to peel yourself out of bed. Since carbohydrates are directly related to your ability to recover after working out, you'll find that you grow weaker and weaker following each and every training session. If you crave intense workouts and love pushing yourself to the limit, an extremely low-carb diet is not going to be fun. Make sure that your diet can accommodate your lifestyle! If you can forgo extremely intense, long workouts, then you can be more flexible with your carb intake. Just don't cut them out if you need to train insane. One study published by the American Physiological Society also noted that carbohydrate-feeding during prolonged, strenuous exercise delays the onset of fatigue. Carbs are your body's preferred source of workout energy, and this doesn't just apply to resistance workouts. If you're doing lengthy endurance cardio as part of your weight-loss program, low-carb methods might be best left out of the picture. While you can use fat as a fuel source during endurance activity, carbs become more and more essential as intensity increases. When carbohydrates are reduced for an extended period of time, your body will begin to produce ketone bodies. Ketone bodies are your brain's alternate fuel source. Some people seem to feel perfectly fine running off ketone bodies, while others feel miserable. They're unable to concentrate, tired all the time, and they just don't feel 'present' as normal. How people deal running on a tank full of ketones tends to vary, so you might have to dramatically decrease your carbs to know for certain. Some people proclaim that getting into ketosis is the best thing they've ever done and that they have endless energy, but this is definitely not the norm. For every person that feels great, you'll find one or more who are struggling to sustain such a limited diet. If you decide to try low-carb dieting, be careful: it can influence your focus, concentration, and your performance at school or work. Be mindful and you'll be okay. Think fourth: your carb intake also impacts the amount of water stored in your body. As a result, lowering your carbs can paint an inaccurate picture of your "true" weight. You might drop water-weight by starting a low-carb diet, but those pounds won't be fat and the loss won't last. Oftentimes, even when people realize that they're shedding water weight (not fat), they forget that said weight will bounce back once they've stopped living low-carb. Provided that people move to a more mixed, moderate-carb diet once fat loss is finished, they're going to gain some liquid pounds. This gain could be three pounds or 10. It depends on how drastically you depleted your carbs and how dense your carbohydrate-dense your maintenance diet is. For some people, this weight fluctuation proves to be incredibly discouraging. If you're aiming to sustain very low body fat levels, this additional weight gain could be enough to zap your newfound definition. How will you handle that mentally? The less you reduce your carbs from the start, the less your weight will fluctuate when you move back to a maintenance diet. Think five! As a long-term dieting strategy, it's also important to view the low-carb lifestyle in the light of proper nutrition. If you cut out fruits and even some vegetables, you risk walking the line between fat-loss nutrition and poor nutrition. Sure, cutting carbs dramatically might work for brief periods, but if low carb is your long-term weight loss approach, you may want to think again. A number of vital nutrients are found in carbohydrate-rich foods. Cut these out for the long haul and you could be in trouble down the road! Fortunately for dieters, the most nutrient-dense forms of carbs also tend to be low-calorie, so adding them back into the diet to improve overall nutrition shouldn't pack too many extra calories. Remember that not all carbs are created equal. When it comes to fat, the real culprit is often the type of carbs people eat. If you trundle around downtown shovelling processed snack foods and fistfuls of high-fructose corn syrup, you're basically asking for weight gain and health problems. If you focus on unprocessed whole grains, fresh fruit, and vegetables, you can certainly still shed fat. It's 100% possible to paint these foods into the picture of your diet and see success. Sure, some people get great results when they go low-carb. Challenge them with a balanced, healthful, and successful approach to your fat-loss nutrition! Coyle, E.F. et al. (1983). Carbohydrate feeding during prolonged strenuous exercise can delay fatigue. Journal Of Applied Physiology. Vol. 55, No. 1.